Why am i a dj? I started doing sound (and other audio/visual work) for the various churches I have attended in 1992. Through this work I started doing sound for wedding ceremonies. Finally my wife turned to me and said "So how much would it take for you to get setup and do this? You need to do this". We agreed to a budget that night and here we are! 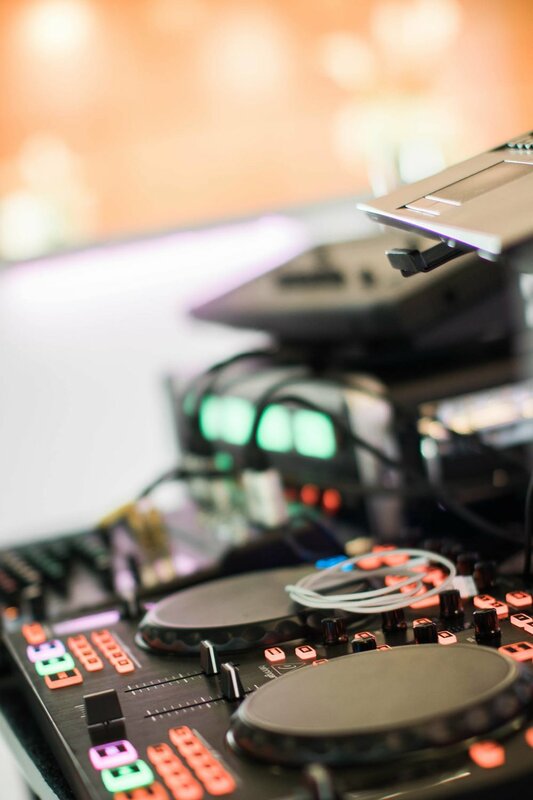 Your DJ should provide support and enhancement to your event, not distrscct from it! First of all, because they are supposed to be a guest enjoying the day! Many friends will volunteer to help you in any way they can, but music lasts for the entire length of the event and requires constant attention. As a professional DJ I have thousands of songs and can choose the correct song for each moment of your day. I can read the crowd and adjust accordingly. Mixing skills help keep everyone excited during the dancing phase. Then there is the practical aspect. I bring a professional grade sound system that is designed for this purpose! Plus I have a variety of microphones for the ceremony and the reception. In addition I have some exciting dance lighting to provide the right mood!